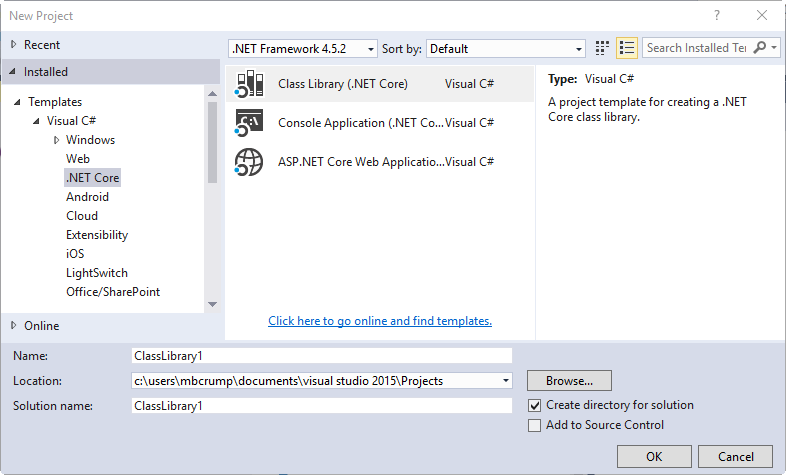 In this post, we’re going to look at how to create a test from .NET Core and run it through the command prompt and inside of Visual Studio. Before we begin, make sure you have the app found here if you want to follow along. The only problem here is that there isn’t a template for Test like there is for the other types. After opening the app or downloading it, open the folder containing the project in the command prompt. Create a new folder called tests and change to inside of the directory. 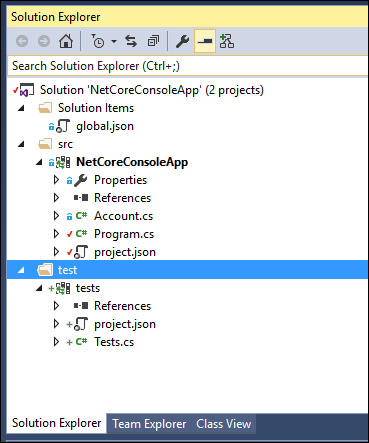 Created new C# project in C:\Users\mbcrump\Documents\Visual Studio 2015\Projects\NetCoreConsoleApp\tests. 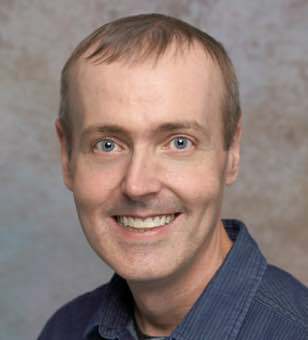 If you look inside the Tests.cs, then you may notice that it contains one simple test that always returns true. So therefore the test will always pass. That’s great, how do we run it? We first need to run dotnet restore to restore the packages. Notice that one test passed and zero failed. 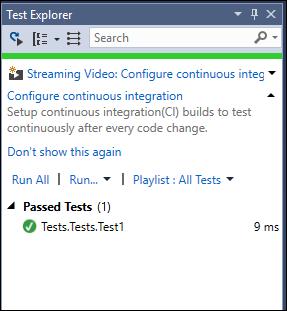 This is great and all, but I prefer to use Visual Studio for my tests. Go into Solution Explorer and Add an Existing Project to your solution. I usually create a virtual folder called test for my test code. You can do that if you wish. Great! Now you can quickly change the Assert.True(true); line to Assert.True(false); to make the test fail and check that functionality. Notice that the test is targeting .NET Core 1.0, just like when we ran this from the command prompt. Go back to your Tests.cs and write your first test!